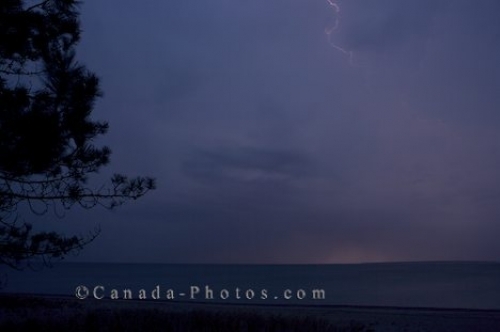 The Agawa Bay Campground in Ontario, Canada is situated along the shores of Lake Superior and from your camping spot or along the beach you can watch a storm fill the night sky. Watch the lightning flashes illuminate the sky creating a pinkish tinge to the clouds and listen to the bellowing claps of thunder. Picture of a storm moving in over Lake Superior that you can watch from the coziness of your campsite at Agawa Bay in Ontario.